How can governments reduce workforce costs while ensuring civil servants remain engaged and productive? This report addresses this question, using evidence from the 2014 OECD Survey on Managing Budgeting Constraints: Implications for HRM and Employment in Central Public Administration. The results clearly illustrate the complex challenges facing civil services, such as how to reduce size and cost while still attracting and retaining high-calibre professional talent. 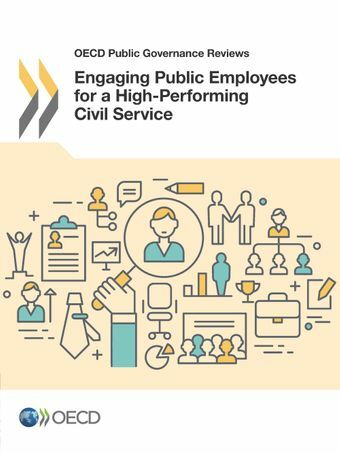 The first part of this report shows that the pressure on central public administrations to reduce costs has required many OECD countries to make cuts that have likely resulted in negative impacts on the workforce regarding trust, motivation and commitment. Overall, 67% of countries surveyed have implemented a pay freeze since 2008. The second part explores how a number of OECD countries are using employee surveys as a leadership tool to better manage employee engagement, which is linked to better job performance, organisational commitment, productivity and public sector innovation. Employee engagement can be a powerful counter balance to austerity-driven measures.